T.O.P's overdose may have caused brain damage. In a recent update, the singer's mother has tearfully declared her son is in a critical condition and close to death. 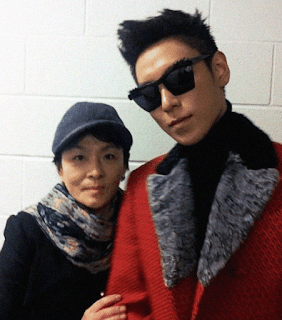 The singer's mother has been angrily opposing stories coming out from S. Korea which claims T.O.P is "simply sleeping" and/or has woken up and doing well. “My son is still unconscious and to read articles that say he's “deep in sleep” is hurtful. Please edit and refrain from saying such things. We don't know how things will turn out. My son is in critical condition. I see my son dying but I also see reports saying he's just sleeping. Isn't that wrongful reporting?," said T.O.P's Mother. In a continuation from her statement, she says T.O.P is close to dying and is currently on life support. * This means he's hooked up to a machine which assists with breathing. He's also receiving oxygen. However, due to possible lack of oxygen; T.O.P might have brain damage. “When T.O.P's mother saw the police quote she was furious. T.O.P is currently wearing an oxygen mask and he is unconscious. Visitation rights are restricted and only close relatives are looking over him," YG Entertainment said. A "police source" have previously claimed the singer wasn't in a serious condition, instead merely stating he's in a deep sleep from the sedatives he was prescribed. The source also claims he wasn't found unconscious but was "snoring and mumbling" when they found him, so they simply thought he was being tired. During a press conference it was revealed T.O.P was brought into the hospital by 3 people. He was also not responsive, but he did show response to strong stimuli. The urine test that the hospital took showed he overdosed on benzodiazepine, which is a strong drug which is both habit-forming and used to fight anxiety, sleeping issues and more. He entered the ICU with high levels of carbon dioxide in his blood stream, which can cause brain damage after a short amount of time. The doctors claim that a person whom is otherwise healthy, will take about 1-2 weeks to recover, if they ever do. *"A machine which assists with breathing" can be various things, the machine that comes to mind is a ventilator, which helps with the breathing. This can be done with the machine simply assisting a person's normal breathing, or completely taking over the person's job. Of course, it's possible T.O.P is breathing without a ventilator, but if a person comes in to the ICU, intubation or less invasive methods are used to ensure adequate breathing. A CPAP mask is sometimes used to ensure the breathing is carried out normally.